Civil lab is well equipped with all the instruments required for surveying, compasses to read ground leveling, models to construct economical and material houses and to study materials suitable for houses to safe guard from natural hazards. 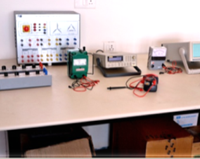 EEE lab is well equipped with all the experiment set up such as Ohm’s Law verification kit, Kirchhoff’s current law (KCL) and Kirchhoff’s voltage Law (KVL) verification kit are present. 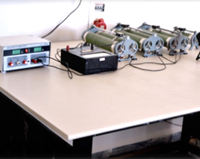 The lab is also equipped with instruments like megger, all type of resistive inductive and capacitive load are present for performing R-L-C ckt. It also include all types wattmeter, frequency meter, power factor meter, clip-on meter, D.C supply board, etc. 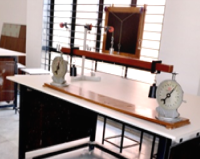 The Institute is having well-furnished Laboratory accompanied with fresh air and modern teaching techniques and tools to facilitate teaching and learning process in a conductive manner - an excellent support for discussions, presentations for analysis of theoretical talent of technocrats. 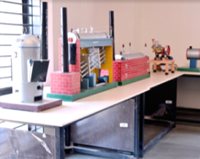 The lab is equipped with the well designed models of boilers, air conditioning systems, mounting and accessories of IC engines, two strokes and four strokes.